...a little rain must fall. And so it has. The last couple days we've had thunderstorms. Nothing severe so no worries. I'm not complaining about the rain though because I know the sun will shine again. Not that I need an excuse because I'll sit and play on a sunny day too. 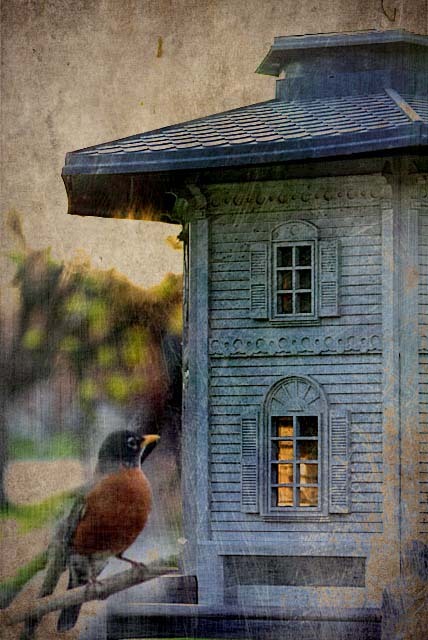 Pretty birdhouse . . . You are getting very good at playing with your photos . . .great job! Good Morning, Ann. I love the patterns the rain makes on your deck. AND, I love the edit you did with the robin. Beautiful! Wishing you a nice Friday. It has been raining...and even snowing over here! 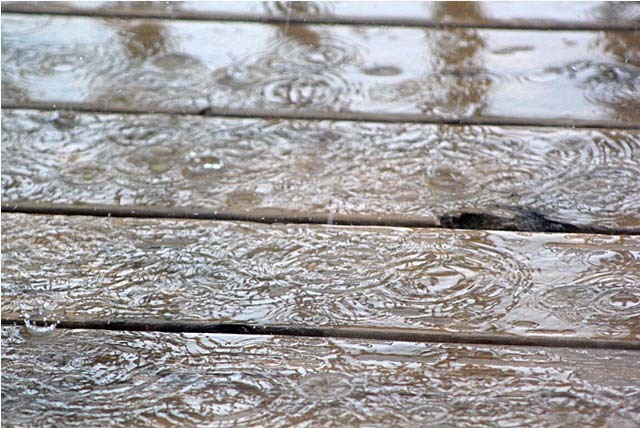 The first shot of the rain making a pattern on your deck is great! I love the photo of the decking, you're certainly making the most of that camera. Would love to have some of that rain over here, we haven't had much at all even in the winter. I love photos of rain like your deck..very cool. the last photo is so awesome..love the edit. I thought that was a bird house. you should make it into a card! We really like how you did the house. 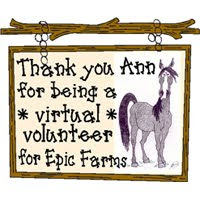 Well done Ann. Have a great day. We've had a lot of rain this year. Lots and lots. It's a good thing though, because we live in a desert. Yes, sitting and playing can be done in any kind of weather. They are great photographs, I especially love the first one! You'd be able to play a lot if you lived here. We've had way more rain than usual this year but today is sunny and 70 and we're headed to the coast! IT IS RAINING HERE RIGHT NOW!!!! WHAT DID YOU DO???? I love these photos!! The last one is for sure my favorite. 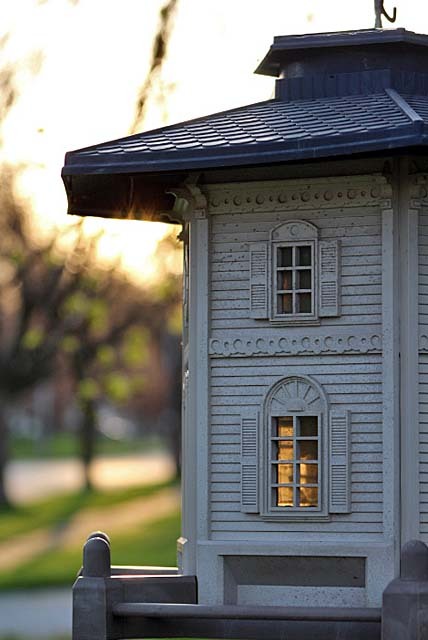 At first I thought it was a doll house! SO cute!! Wishing it would rain here too! The temp was 87 degrees this afternoon...way too hot for April!! We need April showers. Color me jealous. I read in a comment above that this is a bird house? Wow....I thought it was YOUR house!! 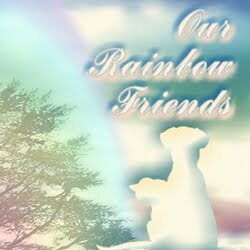 I wish we had your rain - I'm already tired of watering my plants. Yes, we have had that day all day today! Thunder and rain! Been a mess.